Energy efficiency is a core component of sustainable product sourcing. There is a host of reasons why companies are increasingly looking to minimize gas consumption - and while reduced environmental impact is a worthy end in itself, there's also a more immediate business benefit to finding alternative energy sources. While the initial investment in green logistics can be considerable, it ultimately promises to save companies money in transportation and production costs. Solar panels have become a common sight in recent years, and their popularity is poised only to grow. According to the Solar Energy Initiatives Association, the third quarter of 2013 saw the second highest number of solar energy installations overall out of any period on record in the United States. It was also the single most active quarter ever in terms of new photovoltaics - the technology by which solar radiation is transformed into electricity - in private residences. That puts solar second only to natural gas in terms of new energy capacity created this year. "We've now joined Germany, China and Japan as worldwide leaders when it comes to the installation of new solar capacity. This unprecedented growth is helping to create thousands of American jobs, save money for U.S. consumers and reduce pollution nationwide," SEIA President and CEO Rhone Resch commented. The implications of this growth for businesses are twofold. First, with sustainable energy on the minds of so many consumers, they're more likely than ever to make their brand decisions based on companies' electricity sourcing. Second, businesses can take advantage of cutting-edge power sources in order to reduce manufacturing costs and stay level with competitors. While solar remains the most popular green energy source, it's far from the only option. 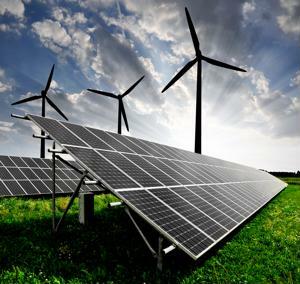 Indeed, companies may soon find that their sustainable energy programs need to leverage a variety of methods in order to remain viable in the long term. Geothermal energy has also seen development and innovation recently. In a post for GreenBiz, environmental and business journalist Garrett Hering noted that while harnessing subterranean energy sources has remained problematic in recent years, scientists from the Lawrence Livermore National Laboratory, Ohio State University and the University of Minnesota have discovered a method for implementing geothermal power plants in new, more efficient ways. "There's an opportunity to deploy geothermal in many more places than possible with traditional plant designs," Lawrence Livermore National Laboratory geoscientist Tom Buscheck said in an interview with Hering. The method utilizes carbon dioxide that other types of plants discard. Hopefully, the impacts of the discovery will prove both positive and wide-ranging for business spend management and energy efficiency.